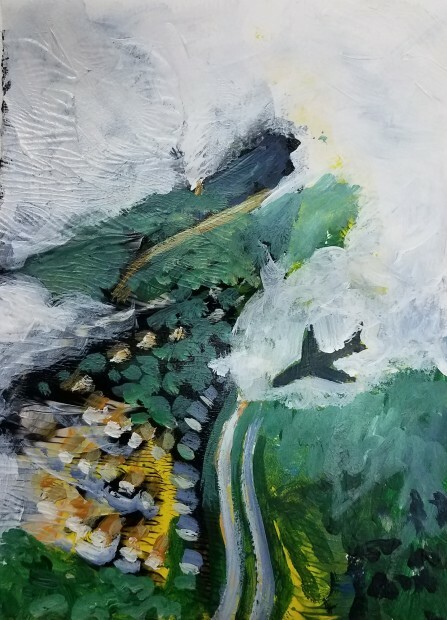 As much as she likes to sit still, Tilly has spent most of her life navigating a move. 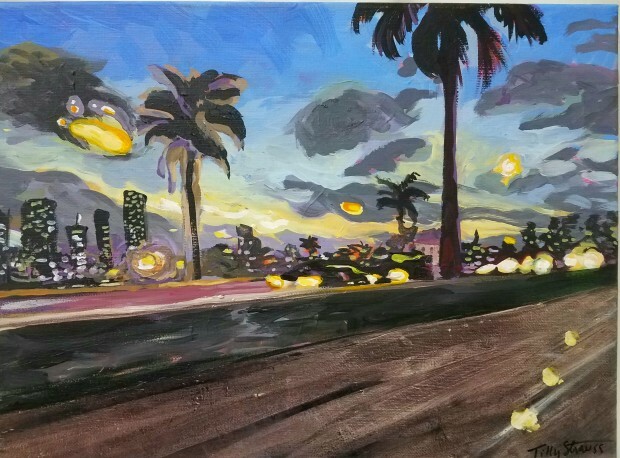 Her earliest memory is of her shiny shoes running on the black and white terrazzo floor of the Miami airport. 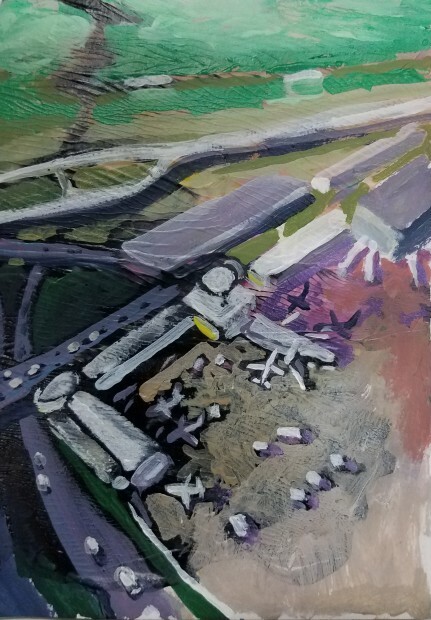 Traveling logistics fill her dreams. 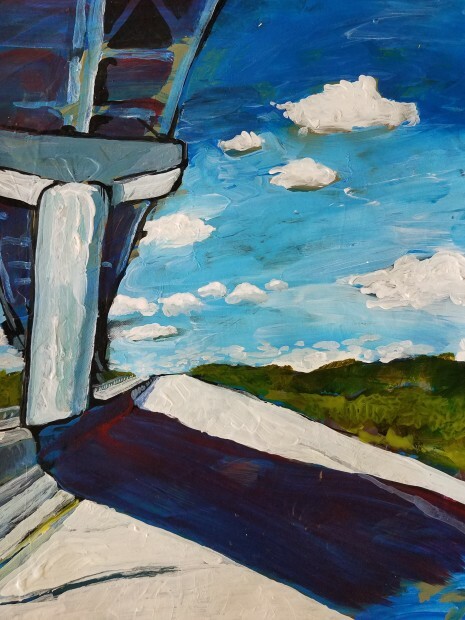 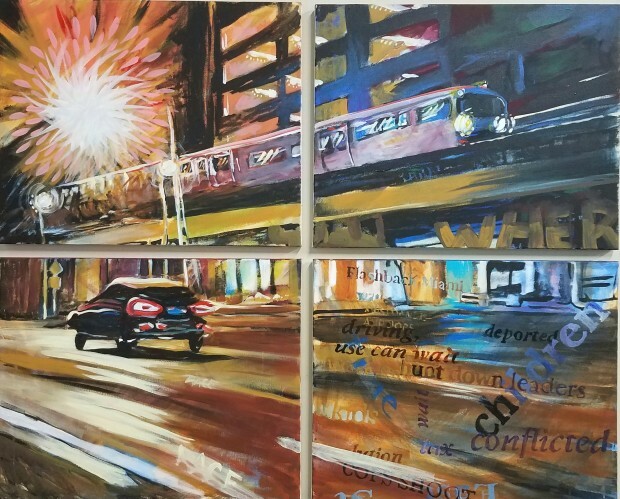 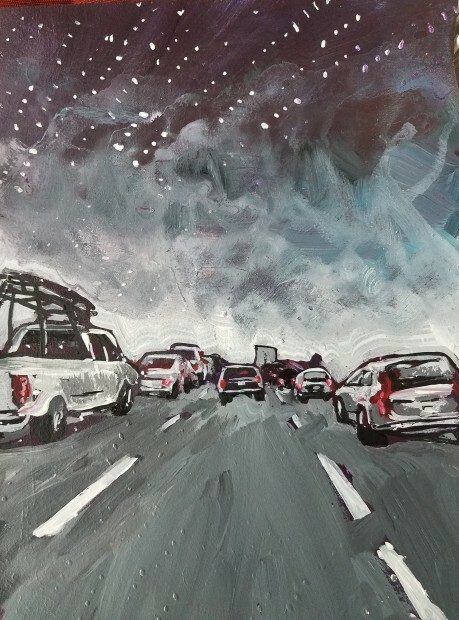 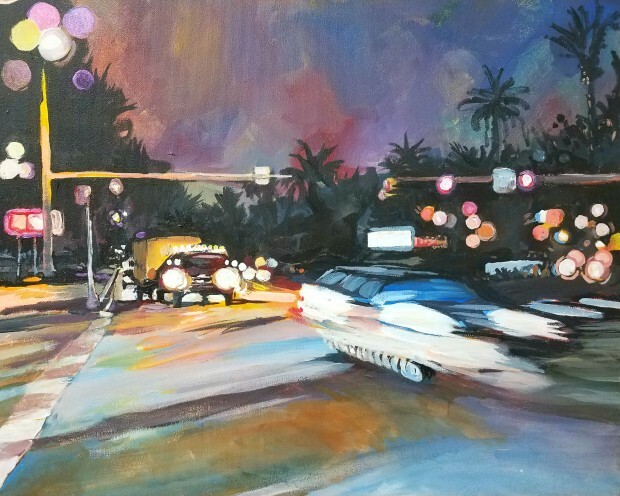 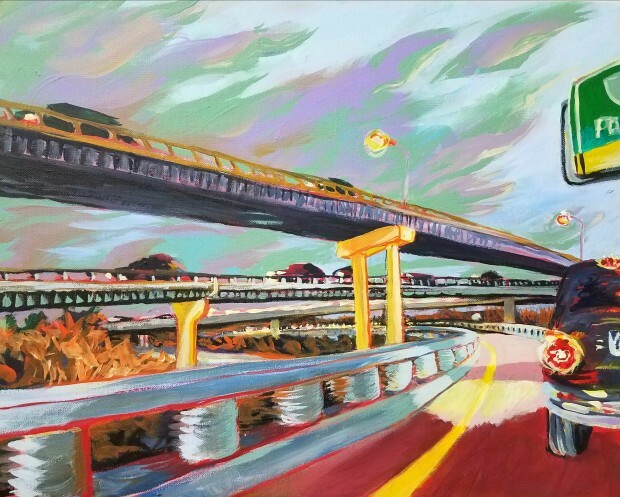 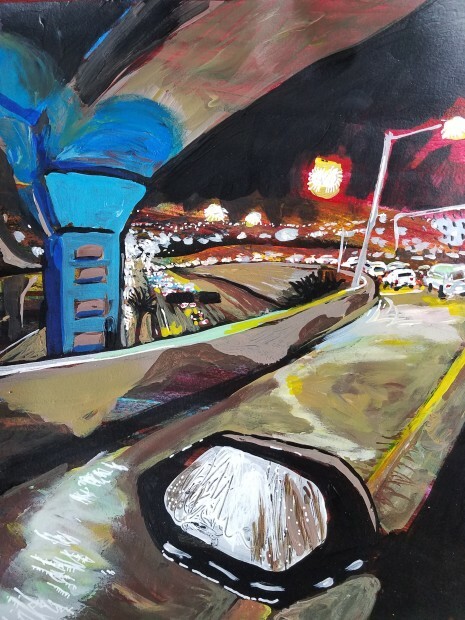 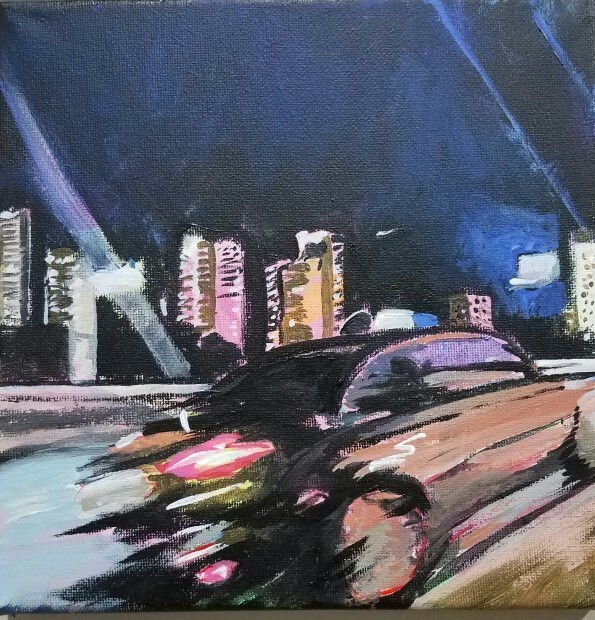 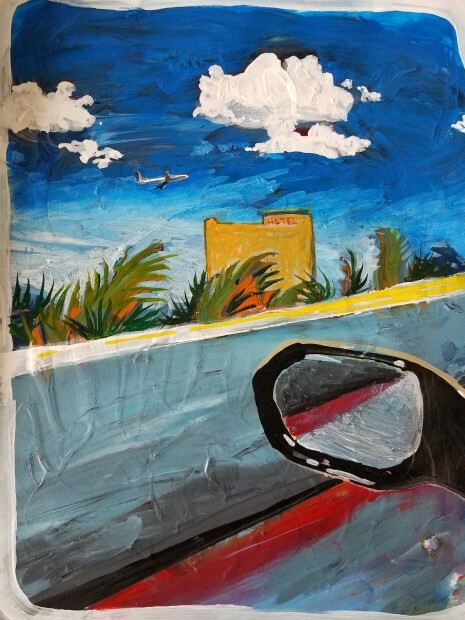 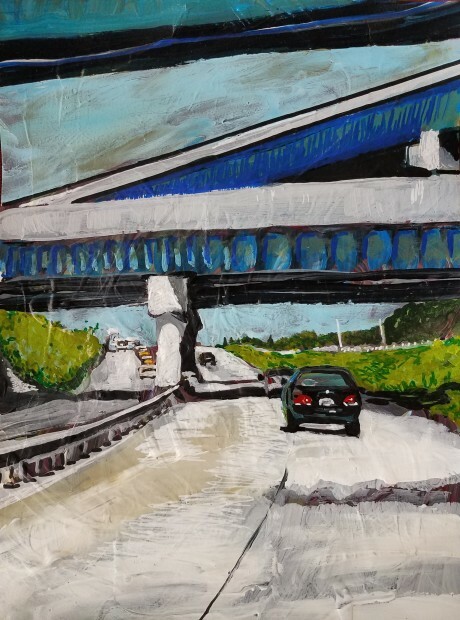 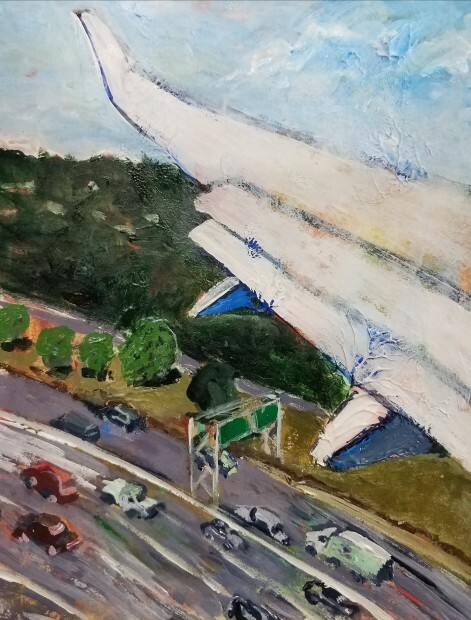 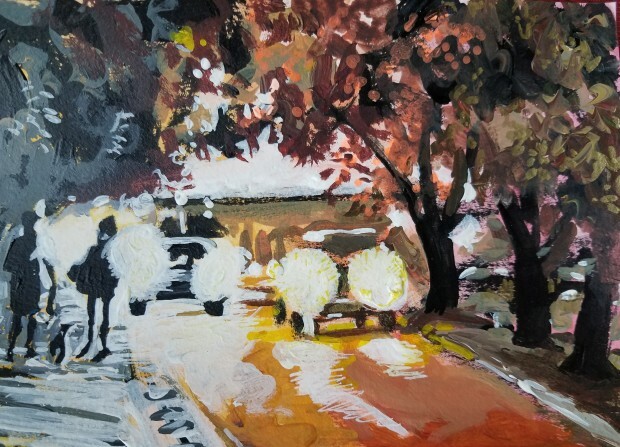 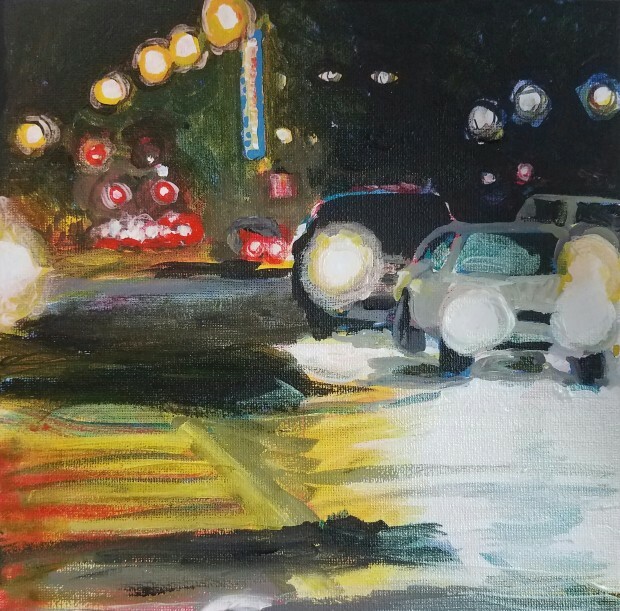 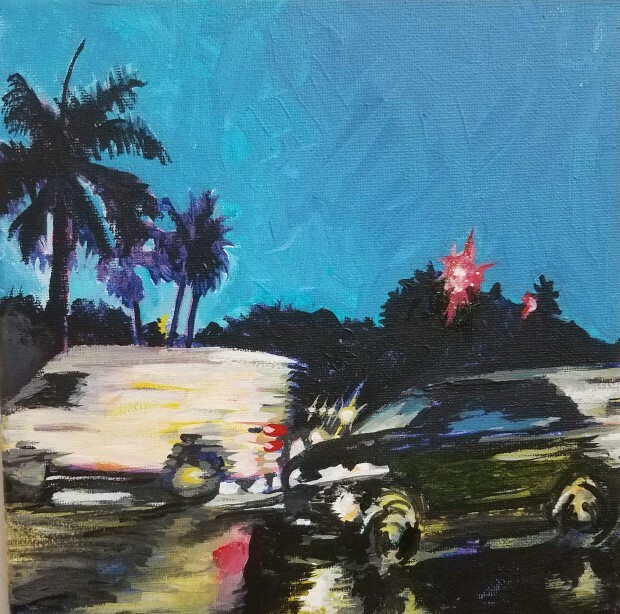 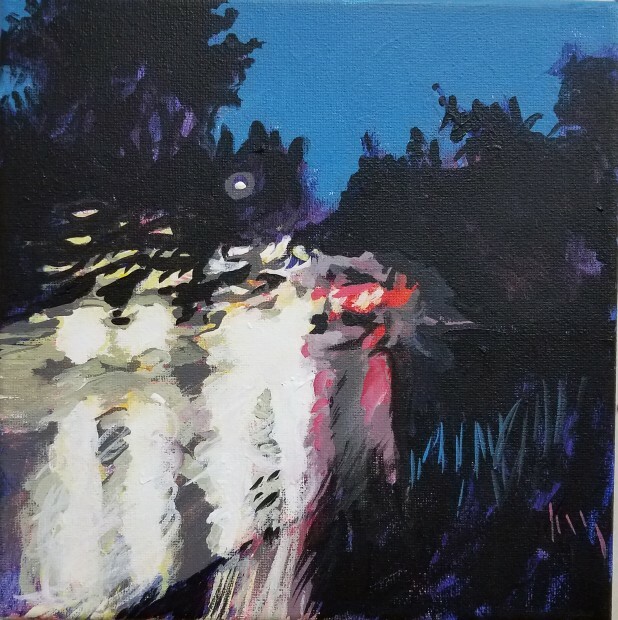 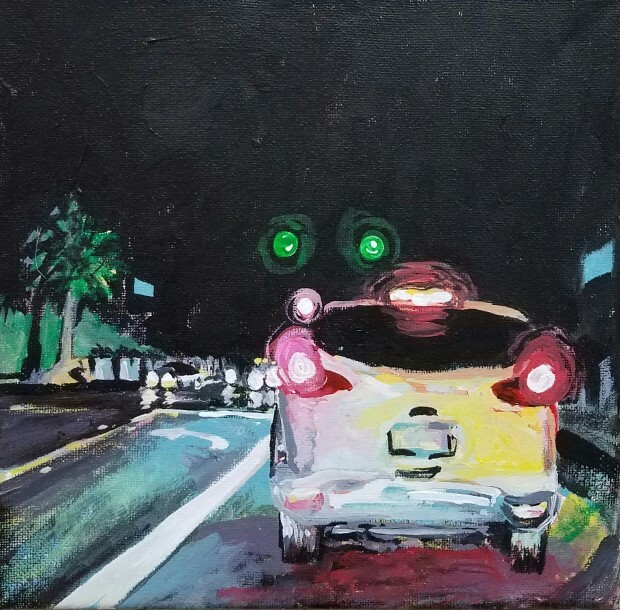 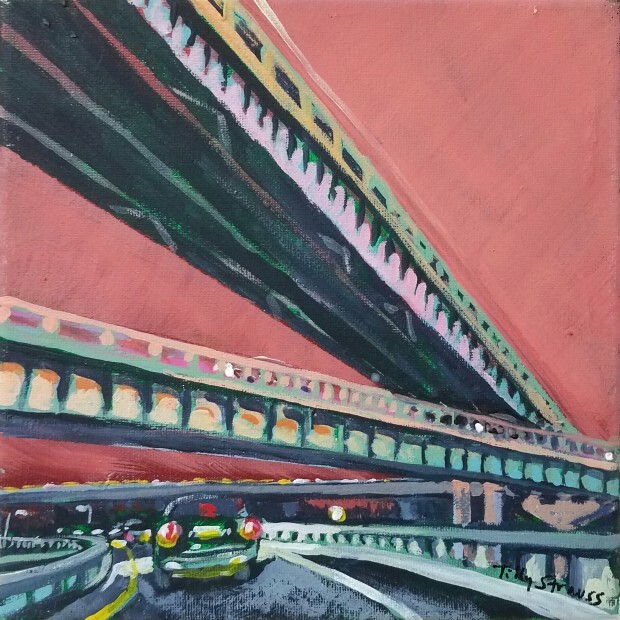 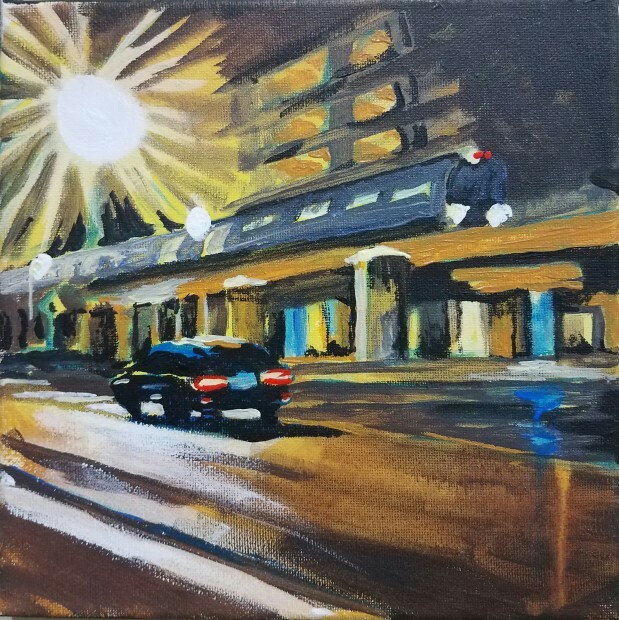 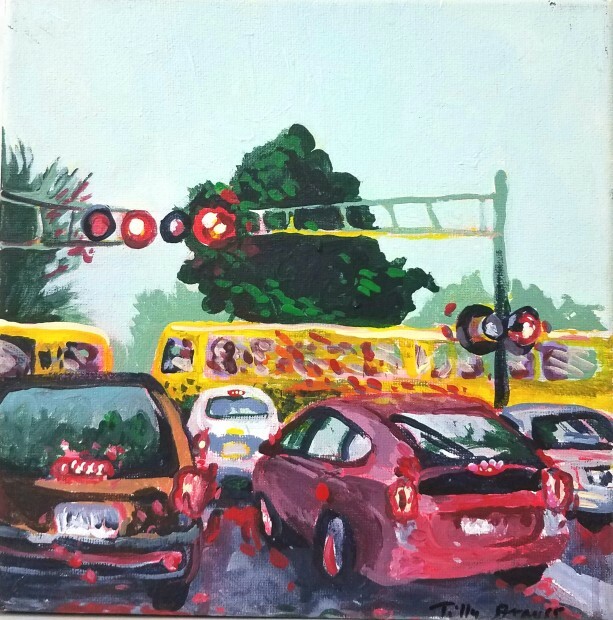 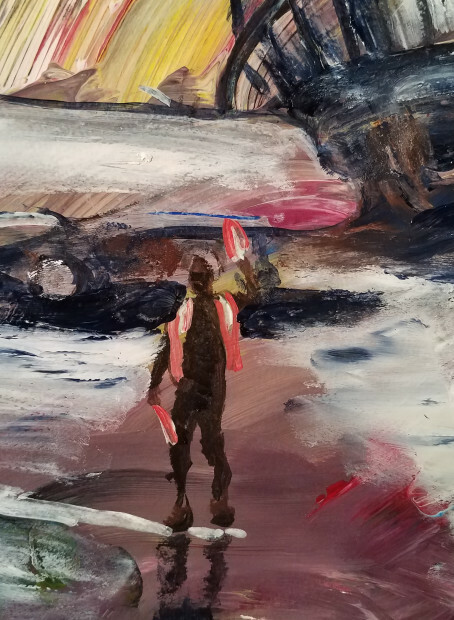 Her paintings analyze traffic from a restless perspective. 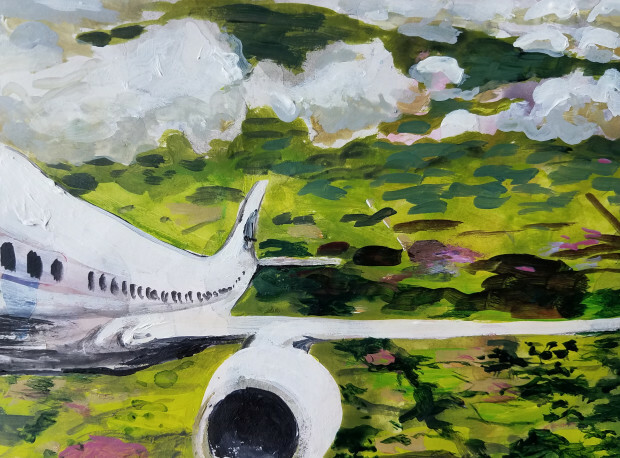 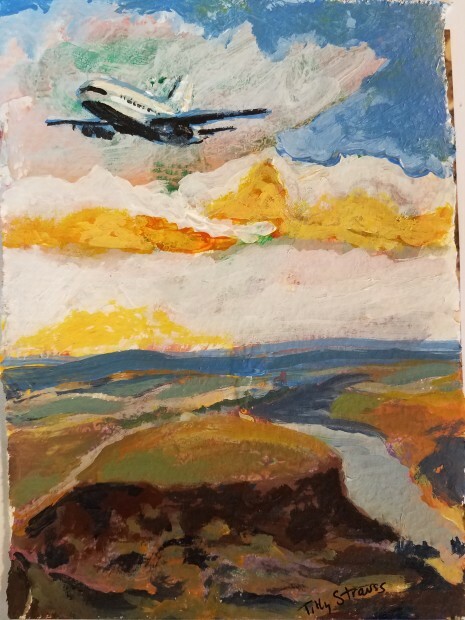 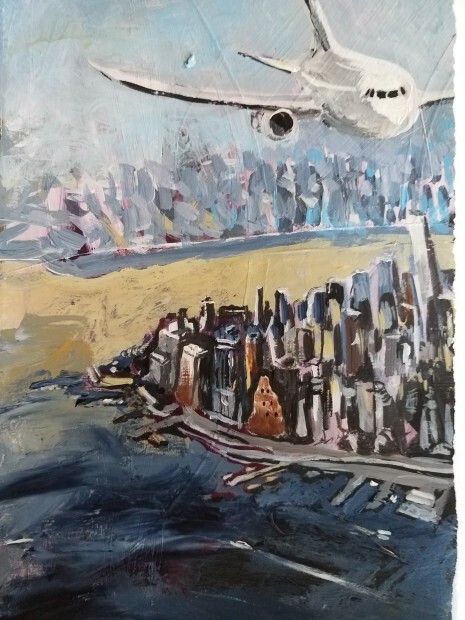 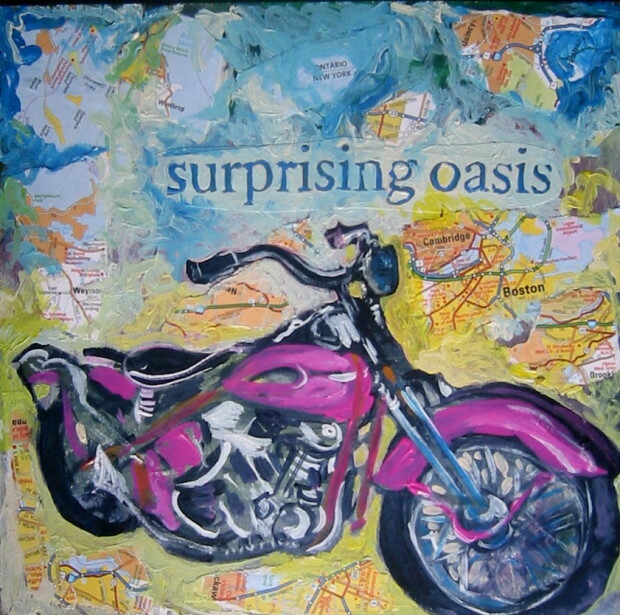 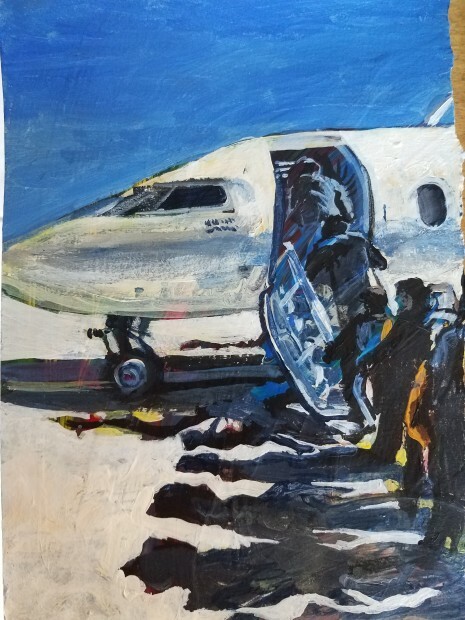 She often paints on maps, found canvasses and postcards.